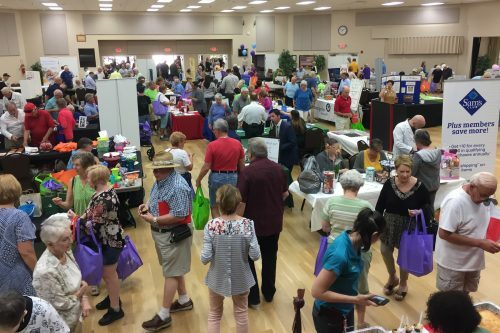 About 1,000 area residents turned out April 4 for the Sun City Center Chamber of Commerce Spring Trade Expo at Community Hall, where more than 70 businesses and nonprofit groups were on hand. 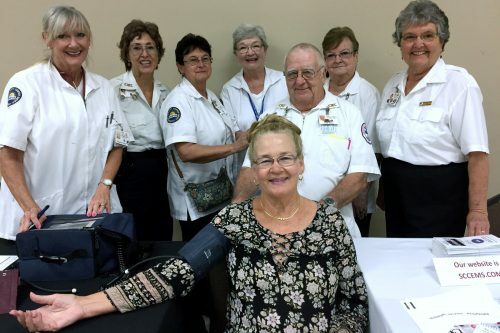 Members of the Sun City Center Emergency squad gather around visitor Debbie Ramage who stopped by to have her blood pressure checked. From left are Jennifer Meier, Robin Watt, Elda Miller, Brenda Levy, Pete Blair, Dee Whitehurst and Marty Gifford. 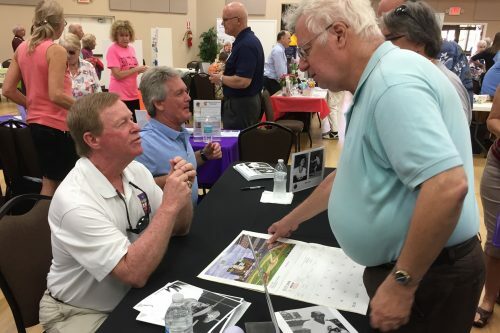 Retired professional baseball player Wayne Garrett, left, and Sun City Center resident Ed Goff engage in conversation, while former pitcher/coach Neill Allen (wearing blue shirt) chats with another visitor at the recent Spring Trade Expo. 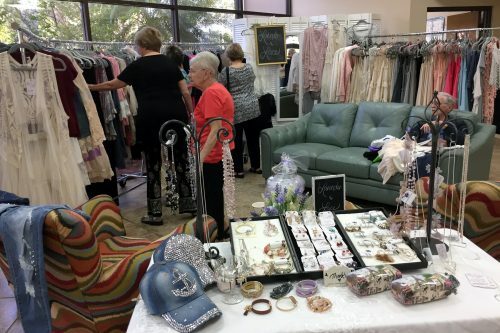 Visitors crowd around the Lavender & Lace Boutique display at the entrance to the SCC Area Chamber’s Spring Trade Show at Community Hall. 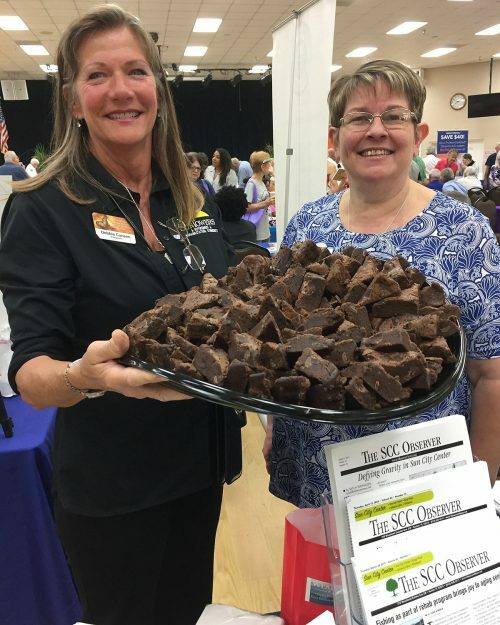 Debbie Caneen and Laura Heinrich, of Sun Towers, offer trade expo visitors Chef Jeff Badders’ crowd-pleasing brownies. 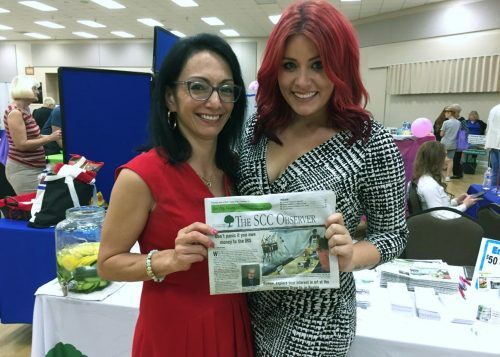 Desi Ferreira, left, and Melissa Roberts, advertising sales reps for the SCC Observer and Observer News, pose for a photo in front of their table at the Spring Trade Expo. 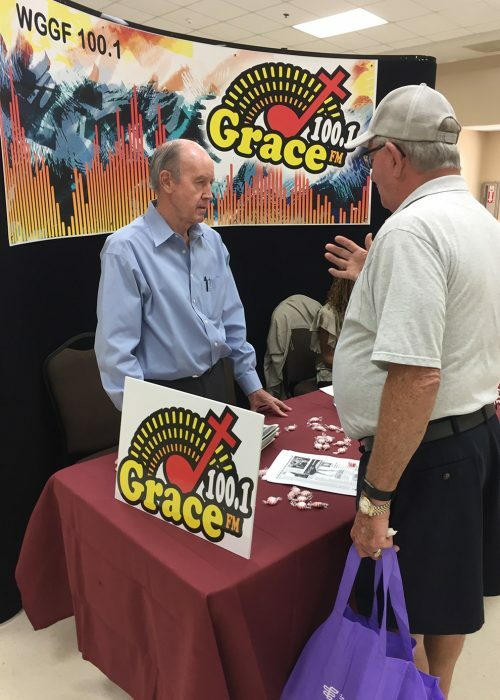 Rob Cress, owner Grace Radio 100.1 FM, listens to a trade show visitor who stopped by his table. 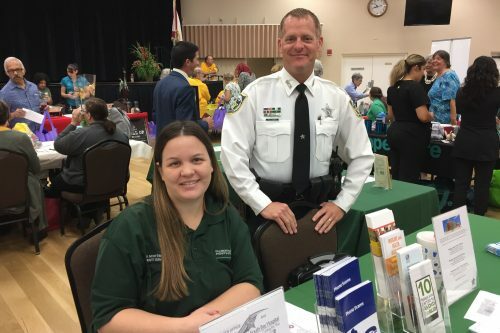 Hillsborough County Sheriff’s Office Community Service Aide Michelle Mortimer and Community Resource Deputy Jeff Merry passed out information on various kinds of fraud and scams and promoted the Nov. 5 Operation Medicine Cabinet at South Bay Hospital. 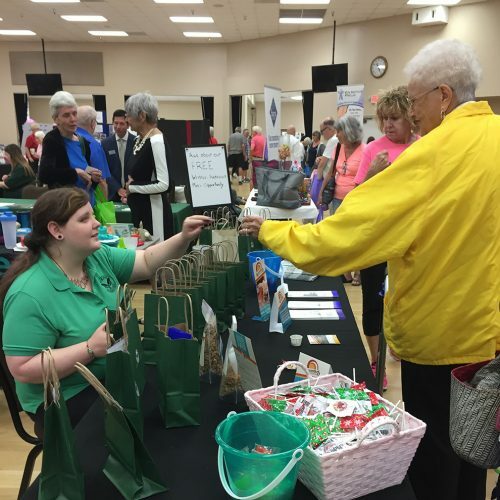 Natalie Simmons, a part-time employee of the Bulk Food Superstore in Ruskin, hands a goodie bag of samples to a trade show visitor. 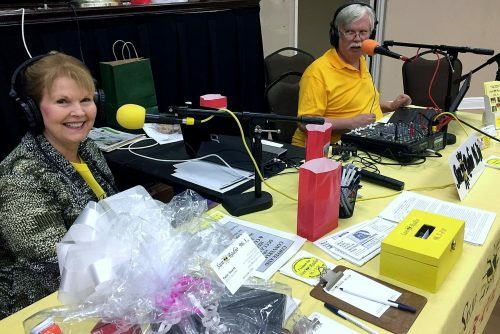 As always, Sun Radio 96.3 FM broadcasted live during the Spring Trade Show, Shown here are local personalities Pam Varkony and Vern Hendricks. 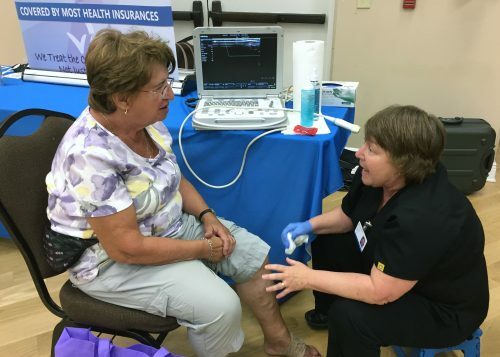 Vascular technician Audrey Fleming, of the Vein Institute of Pinellas, chats with Liz Opiola, of Sun City Center, after providing a free leg scan. 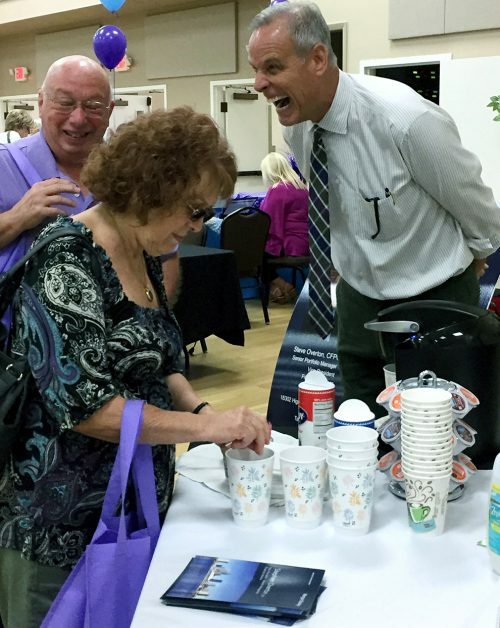 Steve Overton, of Morgan Stanley Wealth Management, right, shares a hearty laugh with Spring Trade Show visitors Jeff Bellor and his wife, Sue. 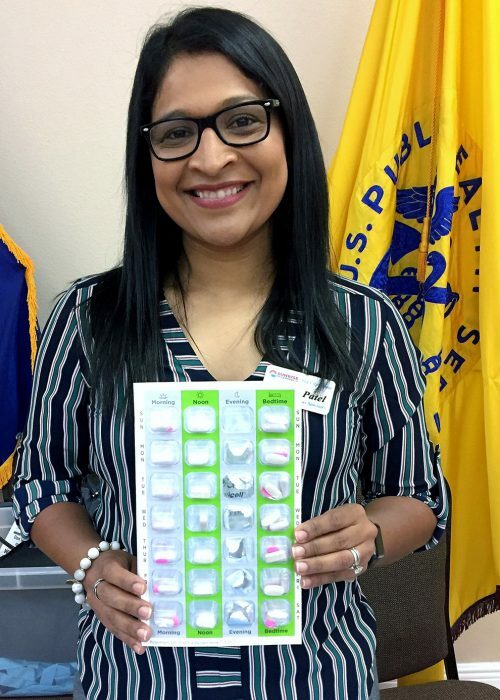 Cherry Patel, RN, represents her husband, Hiral Patel, registered pharmacist and owner or Sunrise Pharmacy at the Nov. 4 trade show. 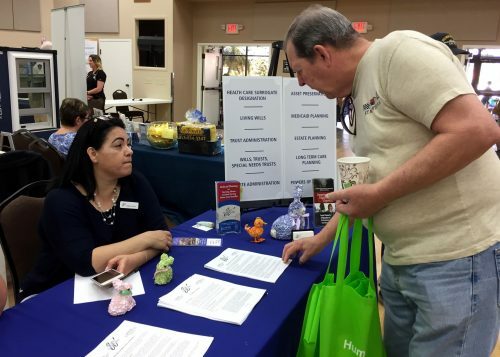 Wolf Elder Law’s Adelina Alicea, legal assistant to attorney Amanda Wolf, listens to questions from Tom Woodward, of Valencia Lakes. 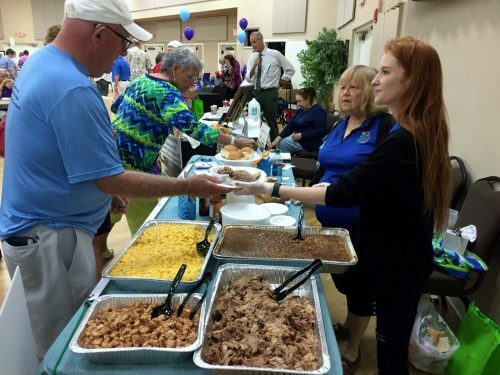 Abby Sanders, of Latitudes Tours, serves Jim McDermott, of Kings Point, during the recent Spring Trade Show at Community Hall. 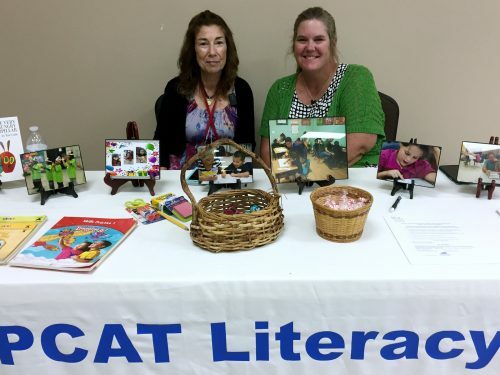 Christene Worley, left, and volunteer coordinator Carrie Blaylock represent PCAT Literacy Ministries, one of numerous nonprofit participants in the trade show. 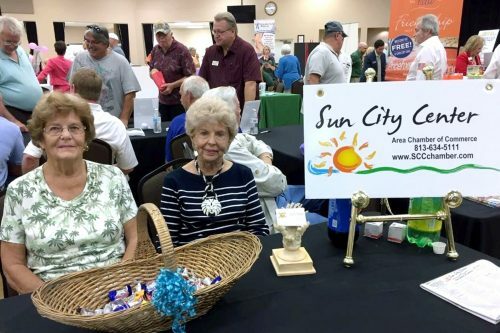 Sun City Area Chamber of Commerce volunteers Pat Lemieux and Jinx Rives welcomed visitors to the chamber’s Spring Trade Show April 4.